The Legion of Substitute Heroes is a peripheral team to the Legion of Super-Heroes. Its first version appeared in 1963. Generally, the core idea is that goofy- and ineffective-looking would-be heroes turn out to be valuable allies, and the Legion learns to respect them as fellow defenders. Now, of course, one issue as always is to know *which* version of the Legion we are talking about. DC’s incessant rebooting of the Legion’s timeline complicates the history of the Subs. I’ve chosen to avoid those complications by putting together a separate profile for each version of the team. This profile will be the largest one for the Subs, chronicling their founding, their years of service, and their eventual dissolution. It is therefore entirely based on the original Legion of Substitute Heroes, which disbanded just prior to the Crisis on Infinite Earths. Other Subs profiles will detail other versions of the team. 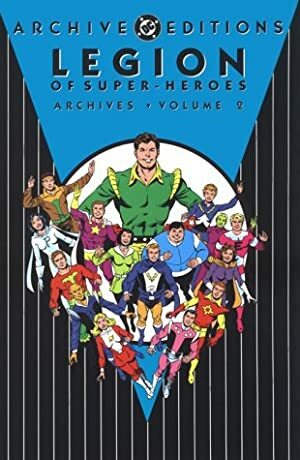 Taking up from where there version leaves off, there will be a separate profile for the short-lived second team of Subs led by Cosmic Boy and consisting of retired Legionnaires, ex-Subs, and Legion Academy students. There will also certainly be a profile of the version of the Subs published in the 5YL (“Five Years Later”) timeline (the Giffen/Bierbaum Legion), in the post-Crisis but pre-Zero Hour DCU. There may be a profile of the version of the Subs that appeared in Geoff Johns’ “Superman and the Legion of Super-Heroes” (consisting of Fire Lad, Chlorophyll Kid, Stone Boy, and new member Rainbow Girl) as well. Legion of Substitute Heroes (aka Subs). Use their powers to serve the common good and to support the Legion of Super-Heroes. In their earliest days, the Subs operated in secret, looking for emergencies where they could back up the LSH or stand in for them if the LSH was busy elsewhere. After the Subs’ existence was revealed, they officially became part of the Legion Reserve. While they continued to stay alert for times they were needed, the Legion would also sometimes call on them directly. They also began to combat street-level crime on their own initiative. Most of their missions took place on Earth but they operated throughout the United Planets and beyond as needed. Originally a mountain in the wilderness which the Subs partially hollowed out and turned into their HQ. Later, they moved into Metropolis (in the Smallville district) to occupy the rocket-shaped HQ that had originally belonged to the LSH. Unclear. Originally they built most of their own equipment, though it’s not clear where they got raw materials. (Night Girl, for instance, may come from a wealthy family.) As part of the Legion Reserve they may have received some funding from the LSH or R.J. Brande, but that’s uncertain. They are close allies to the LSH. They’ve served alongside other members of the Legion Reserve including Proty II, the Legion of Super-Pets, and students from the Legion Academy. During Darkseid’s Great Darkness they organized the Heroes of Lallor, Dev-Em, and the Wanderers into a unified resistance force. Their relationship with the Science Police and other authorities is uneven. As Legion Reservists they get some cooperation from the SPs (and aren’t arrested for interfering in police business when they get involved in a case), but they aren’t always taken seriously by the SPs, and sometimes aren’t given full access to crime scenes or battle sites. Polar Boy, Night Girl, Fire Lad, Chlorophyll Kid, Stone Boy, Color Kid, Infectious Lass, Porcupine Pete. (The Legion of Substitute Heroes’ Auxiliary): Antennae Lad, Double-Header. Heroic character and rejection by the LSH. During the formative years of the Legion of Super-Heroes, when it was first becoming a legend, teenagers across the United Planets dreamed of joining its ranks. During those years the LSH held open calls for new members at relatively frequent intervals. While a few members joined this way, many more were rejected. Some had powers that were uncontrolled and even dangerous; others had powers that were deemed unhelpful, negligible, or (in the case of a few frauds) downright non-existent. Many of these Legion rejects vanished into obscurity. Some were so embittered that they turned to crime. But five of them decided that even if they were denied the fame and glamor of becoming Legionnaires, they could still make a difference. They could still be heroes. Polar Boy, aka Brek Banin of Tharr, was one of the most enthusiastic applicants the Legion had ever seen. So enthusiastic that he froze a roomful of Legionnaires solid when he applied for membership. He was rejected for his lack of control. Polar Boy was approached by another Legion reject, Night Girl, to commiserate. She was rejected because her limitation (her superstrength vanished in sunlight) was deemed too severe. But meeting her inspired Polar Boy, and he proposed they start a new group comprised of Legion rejects. Polar Boy and Night Girl reached out to others and together they formed the Legion of Substitute Heroes. The other founding members were Fire Lad (his fire breath was too uncontrolled), Chlorophyll Kid (his power of superfast plant growth was considered not useful enough), and Stone Boy (who couldn’t move in his stone form and so was, well, pretty helpless). This group would never compete with the Legion, but that wasn’t their intent. In fact they swore always to aid the Legion in its deeds, and to stand ready to pitch in or substitute if danger struck while the Legion was busy elsewhere. In the meantime, they kept their existence secret because they didn’t want to steal any publicity from the LSH. The Subs hollowed out part of a mountain in the wilderness to serve as an HQ, built a spacecraft and monitoring equipment, and waited for trouble. At first they responded to every emergency they heard about. Invariably they were beaten to the scene by Legionnaires, who resolved all the crises handily. So when the news broke that the LSH was gathering to face an invasion of robot spaceships, the Subs tried approaching the Legion openly. Without revealing that he’d organized a team, Polar Boy offered his help and the help of his “friends”. The Legionnaires declined to bring this group of rejects with inadequate powers along, especially on such a dangerous and important mission. Becoming discouraged, the Subs were considering giving up and disbanding when Chlorophyll Kid discovered a secret menace. Noticing that the desolate area surrounding their headquarters was blanketed with unfamiliar seeds, he used his power on one. It grew into an animate, mobile plant man and attacked the Subs. The rejects fought off the plant man and investigated the origin of the seeds. They discovered that the seeds had come from space, from the same sector as the robot ships being fought by the Legion. The ships were a decoy; the real invasion was the seeds, drifting unnoticed to Earth where an army could grow in secret. After destroying all the seeds they could find, the Subs went to the planet of plant men and managed to stop the invasion. All the while, the Legion kept fighting the robot ships, and had no idea that the Subs had beaten the real menace. But the elated Subs still didn’t want to take any glory from their heroes the Legionnaires. It was enough that they had proven to themselves that they could make a contribution. So it was a terrible shock when their next case put them at odds with the Legion itself. The LSH discovered their existence and ordered them to disband. When the confused Subs didn’t immediately obey, the LSH attacked their mountain base, forcing the Subs to flee. The Subs soon discovered that the real Legion had been placed in suspended animation and was now being impersonated by aliens who wanted to plunder Earth’s mineral wealth. The Subs defeated these aliens (as natives of the desert planet Zyzan, they were particularly vulnerable to Polar Boy). They then found and freed the real Legionnaires without being seen. Once again, the Subs saved the day without revealing themselves. The Subs next sent Night Girl to aid the female Legion members, who had been struck down by a mysterious crimson virus (caused by Satan Girl). Night Girl was instead stricken ill as well, but when Satan Girl was beaten, Night Girl and the female Legionnaires got well. The Subs’ next mission was to fight off yet another band of alien raiders who struck while the Legion was busy off-planet. This time, though, they were spotted by Superboy’s telescopic vision. After several months of semi-secrecy, the Subs were finally revealed to the LSH. The LSH was impressed by the Subs’ accomplishments and devotion. They encouraged them to keep operating. They also held a contest, with the prize being full Legion membership for the winning Sub. All of the Subs passed their challenge except Stone Boy. Stone Boy asked the LSH to step in to prevent innocent bystanders from being hurt. But the Legion awarded him the highest score for his willingness to sacrifice the prize and declared him the winner of the contest. Ironically, Stone Boy chose to stay with his friends in the Subs and declined the honor of Legion membership. Soon after this, the Legion was defeated by an unseen enemy in a mighty Citadel on the planet Throon. The Legion sent team after team of Legionnaires to the battle at the Citadel, but eventually every available Legionnaire was beaten. Even the likes of Superboy and Mon-El were defeated by the super-weapons in the Citadel. Certain they were doomed, doomed, the dogged Substitute Heroes launched a suicide run on the planet. Using their wits, they succeeded in saving the Legionnaires and throwing down the Citadel. After returning to Earth, the LSH made sure the Subs got some overdue recognition. Metropolis held a parade in the Subs’ honor, and the Legion made them official members of the Legion Reserve. Now formally part of the LSH’s arsenal, the Legionnaires called on the Subs to assist their efforts to crack the Iron Curtain of Time and confront the Time Trapper. This was unsuccessful, but the LSH were able to take down the Trapper when he voluntarily came back to their time to raid advanced technology. The Subs made another unsuccessful attempt to help the Legion when Dynamo Boy took over the LSH and admitted members of the LSV to the team. Despite their failure, the LSH was able to bounce back and defeat the LSV. The Subs next helped the Legion carry out their “Plan-R”. Night Girl and Chlorophyll Kid pretended to be applicants in order to make the team’s need for replacement members seem more believable to the invading spies from Murra. The deception was successful and the Legion defeated the super-powered Murrans. The Subs began to grow as the Legion began referring rejected but worthy applicants to the Subs, and Color Kid was added to their ranks. Dream Girl, who, with the best of intentions, joined the Legion under false pretenses, voluntarily resigned to work on perfecting her powers. She chose to do so as a member of the Subs. And when Star Boy was expelled from the Legion for killing a man in self-defense, Dream Girl and the Subs asked him to join them. As this showed, the Subs were Reservists but followed their own rules independent of the Legion Code and charter. They welcomed Star Boy with open arms. The admission of a “real” Legionnaire gave the Subs some more public exposure. They also began taking on street-level criminals when they weren’t helping the LSH on a case. When Superboy and Supergirl were forced to resign from the Legion due to a green kryptonite cloud surrounding the Earth, they asked to name their own replacements. They chose “Sir Prize” and “Miss Terious”, knowing they were actually Star Boy and Dream Girl in disguise. The disguised duo was able to help the Legion defeat Evillo’s “Devil’s Dozen” and free Dream Girl’s sister, the White Witch, from an evil enchantment. One of the things needed for the spell to free the White Witch from her “Hag” form was the hoof print of an enchanted horse. The Subs obtained this by going back to Supergirl’s time and getting a hoof print from Comet the Super-Horse. They succeeded in their mission despite being attacked by the Super-Pets. And the kryptonite cloud was changed to harmless blue kryptonite by Color Kid. After this, Superboy and Supergirl were able to return to active LSH membership, along with Star Boy, Dream Girl, and Bouncing Boy (who’d just recovered his super-power). This diminished the Subs’ roster, but they had helped the Legion achieve a great triumph and return to its full strength. The Subs didn’t see much action for several months after that, but presumably kept busy with their training and with fighting street crime. The constant detective work paid off. The Subs worked with the Science Police to oppose the rising power of the Taurus Gang and the Scorpius Gang. After they spotted some missing Legionnaires working alongside Scorpius, the Subs investigated. They discovered the Legionnaires were being coerced into helping Scorpius in its gang war by a threat to the lives of their fellow Legionnaires. The Subs located the secret base of Scorpius just in time to save the lives of the entire Legion. Over time, the Legion had come to regard the Subs very highly, and treated them almost like members of their team. Night Girl began dating Cosmic Boy, her long-time crush, and was therefore with the Legion when the battled the villainess Uli Algor. The Subs were also invited to significant Legion events and ceremonies, such as the wedding of Bouncing Boy and Duo Damsel. When the Legion built a new headquarters, they donated their old one to the Subs. When the Subs took possession of the building they also captured some would-be looters. Night Girl continued to see Cosmic Boy. He worried about her limitations and tried to convince her on at least one occasion to give up her career. She refused, despite a serious argument and temporary break-up. She even saved him from a criminal gang she’d been tracking. As the two reconciled and grew closer, Night Girl spent more time with Cosmic Boy and his Legion teammates. For instance, they sometimes double-dated with Lightning Lad and Saturn Girl. On a vacation to Braal, Night Girl helped Cosmic Boy and some Legion reinforcement defeat the Worldsmith. Naturally, the Subs were guests at the long-awaited marriage of Lightning Lad and Saturn Girl. They also came to Earth and the Legion’s aid during the Earthwar, when Mordru manipulated the Khunds and the Dark Circle into conquering Earth for him. The Subs fell in battle against the Khund invaders, as did nearly all the Legion. But the few Legionnaires remaining free rescued them all, and the Subs were part of the final battle against Mordru. The Subs truly shone a few weeks later. With Brainiac 5’s leadership, they soundly defeated the League of Super-Assassins, saving several Legionnaires’ lives, including Superboy. Brainiac 5 was able to turn them into a truly effective fighting force, teaching Color Kid how to use his powers to create a blackout effect. While the Super-Assassins were blinded, the other Subs attacked from a distance, sending waves of ice, fire, and writhing vines against the confused villains. Meanwhile Night Girl was able to move in close, Color Kid’s blackout activating her superstrength. The Super-Assassins were overwhelmed easily. After that the Subs didn’t see much action for a long while. The Legion was now at its height – powerful, experienced, and well-resourced – and they didn’t find it necessary to call on their substitutes for help. So the Subs were excited to come to the rescue when they heard that Computo had returned and taken over LSH HQ. But the Science Police had cordoned off Legion HQ to keep Computo contained. Humiliatingly, the SPs refused to let the Subs through to help. The Legion coped with Computo on its own. The Subs saw a measure of redemption soon thereafter. Darkseid’s “Great Darkness” forced the Legion to sound its first General Alarm in years, calling in all the reserves for help. The Subs did some of the best work of their career, rallying other Legion allies like the Heroes of Lallor and the Wanderers and organizing a defense of Weber’s World, the United Planets’ administrative capital. They slowed Darkseid’s army of mind-controlled Daxamites down long enough for a successful evacuation. When the Legion’s efforts against Darkseid took up so much concentration that he lost control of the Daxamites, the Subs wasted no time in leading the army of supermen to take the fight back to him. Darkseid admitted defeat and vanished. Following the Great Darkness, the Subs did some good relief work on Weber’s World before returning to Earth. They went back to fighting street crime and doing investigative work in Metropolis, at Cosmic Boy’s request. He enlisted their aid to try and find a ring of smugglers responsible for setting off a small nuke which killed Cosmic Boy’s mother. The Subs did enough damage to enrage the smugglers, who trapped Cosmic Boy, Night Girl, Polar Boy, and Stone Boy on a runaway space cruiser. Cosmic Boy and Polar Boy were able to fashion an escape craft, though, and members of the Legion Academy came to their rescue. Perhaps these successes went to their heads, or perhaps the years of relative obscurity had taken their toll. Some of the Subs, like Stone Boy, seemed less confident than ever. Others, like Polar Boy, seemed more desperate than before to win approval and show their worth, especially as he saw teammates like Chlorophyll Kid and Fire Lad begin to let their training slip. Whatever the case, the Subs decided it was time for a recruiting drive. They tracked down some rejected Legion applicants from years before, adding Infectious Lass (whose power to spread disease was poorly controlled) and Porcupine Pete (who could fire a barrage of quills from his body, spraying them uncontrollably in all directions) to their roster. They even created an Auxiliary for members “not yet ready” for the Subs. Auxiliary members were Antennae Lad (whose antenna received uncontrollable radio transmissions from across time and space) and Double-Header (whose only “power” was having two heads which argued with each other). These factors (Polar Boy’s need for approval, the decrease in competency of veteran members like Fire Lad, Chlorophyll Kid, and Stone Boy, and the Subs’ new and inexperienced members) made a disaster of their team-up with Superman. Finding the Legion away on missions, Superman came to the Subs for help with a captive, a 20th century criminal lunatic named Ambush Bug. Unwilling to admit that their equipment was on the blink (perhaps a sign of funding problems), the Subs were unable to keep Ambush Bug prisoner. The Subs were as much hindrance as help to Superman and the Science Police in recapturing the teleporting madman. The last straw came on the Subs’ next mission, where they were sent to the planet Bismoll in response to an alert from ex-Legionnaire Tenzil Kem, aka Matter-Eater Lad, now a Bismollian politician. Tenzil feared a computerized revolt on Bismoll similar to Computo’s on Earth, and called for help. The Subs were even assigned a Science Police Liaison officer, Gigi Cusimano. But everything went wrong. Cusimano was assigned to the Subs as punishment, not because the SPs took the Subs or Matter-Eater Lad seriously. New member Infectious Lass accidentally released Grandin Gender Reversal germs which temporarily changed Color Kid to Color Queen. The Subs’ ship experienced many malfunctions and breakdowns. Some of the Subs, like the overweight Chlorophyll Kid, were taken into custody by the Bismollian Calorie Police. The true enemy, as Matter-Eater Lad and Polar Boy discovered, was a duplicate or simulacrum of Pulsar Stargrave, and was more or less accidentally smashed to smithereens by Stone Boy. All in all, while the mission was ultimately a success, it was also a disaster. Polar Boy was embarrassed. The others (minus Night Girl, who was absent from both this mission and the Ambush Bug incident) were demoralized. So Polar Boy disbanded the Subs and successfully applied for full Legion membership. Night Girl was devastated, and might have considered asking the LSH to admit her, too – except that Cosmic Boy had just resigned. At loose ends, she tearfully presided over the donation of the Subs’ HQ to the city as a museum, then went on an extended vacation with Cosmic Boy, time travelling to the 20th Century before heading home to Kathoon. The other Subs generally went their own way and took up civilian life. Further details are obscured by the Crisis on Infinite Earths, as several alternate versions of the DCU timeline have been seen since then. See the DCU History section for more details. As mentioned above, while this version of the Subs was around the longest, there have been other versions across the DC Multiverse. This version broke up shortly before the Crisis on Infinite Earths. After the Crisis, Cosmic Boy and Night Girl led a revival of a new version of the Subs, whose other members included Bouncing Boy, Duo Damsel, Comet Queen, and the second Karate Kid. That version will have its own profile on www.writeups.org, entitled “Legion of Substitute Heroes II (Post-Crisis)”. 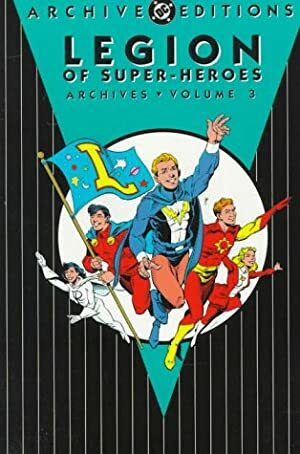 There will also certainly be a profile of the version of the Subs published in the 5YL (“Five Years Later”) timeline (the Giffen/Bierbaum Legion), in the post-Crisis but pre-Zero Hour DCU. That team is mostly a revival of the original Subs, where, with the benefit of paramilitary training, they finally achieve their full potential. There may also be a profile of the version of the Subs that appeared in Geoff Johns’ “Superman and the Legion of Super-Heroes”. That group is based on the original version profiled here, but has some alternate continuity and characterizations. The group depicted consisted of Fire Lad, Chlorophyll Kid, Stone Boy, and new member Rainbow Girl. Infectious Lass and Double-Header were mentioned ’off-screen’, and Polar Boy and Night Girl were members of the LSH proper. The first post-Zero Hour Legion (identified in Infinite Crisis as the Legion of Earth-247) gave us a glimpse of Polar Boy and Night Girl training a team of rejects, but no details emerged before that timeline was wiped out. The second post-Zero Hour Legion (generally referred to by fans as the Threeboot Legion) showed Night Girl applying for Legion membership and being made a reservist, alongside new characters Sizzle and Turtle. LSH (High), Science Police (Low), Legion Academy (Low), Heroes of Lallor (Low), Wanderers (Low). The Subs could all fly using Legion Flying Belts, later replaced with Flight Rings. (See the Legion Equipment writeup for details.) They also had access to at least one spaceship, spacesuits, and a headquarters with some communications equipment and a monitor that alerted them to trouble. The Subs’ first HQ was in a mountain they partially hollowed out for themselves. It would probably be classified as a Confined HQ. Later they moved into the LSH’s original rocket-shaped HQ when the Legion built themselves a new headquarters. Considering the relative size of the two teams, the rocket HQ would definitely be an Expansive HQ. Source of Character: DCU (Adventure Comics, Action Comics, Superboy, Legion of Super-Heroes). Helper(s): Zaxophus, Sébastien Andrivet, The Subs’ profile on the Cosmic Teams site (though I’ve made a few corrections – for instance, Cosmic Teams leaves out the Subs’ first adventure, and incorrectly labels its second adventure as its first). Writeup completed on the 14th of November, 2013.